Antibiotics have played an important role in reducing the incidence of morbidity and mortality in human infections all over the world. Subsequent to the discovery of antibiotics during the last century, it was believed that these drugs would allow humans to conquer bacterial disease. This euphoria turned out to be short-lived, as it was soon realized that bacteria can become resistant to antibiotics by acquiring gene mutations. Since then, we have seen bacteria becoming increasingly resistant to a large number of antibiotics. In fact, in recent years there have been instances where patients had recovered from cancers but subsequently succumbed to infection caused by drug-resistant bacteria. Thus, there is a critical need to discover new antibacterial agents which can kill drug-resistant pathogens. The problem of antibiotic resistance is very severe in some species of bacteria, and hence the Infectious Disease Society of America (IDSA) and the World Health Organization (WHO) have come up with a list of bacteria called ESKAPE pathogens (Enterococcus faecium, S. aureus, K. pneumonia, Acinetobacter baumannii, P. aeruginosa, and Enterobacter species) which cause the most difficult-to-treat infections; new drugs that act against these bacteria are urgently required. In addition to antibiotic resistance acquired by genetic mutations, bacteria have developed multiple ways of thwarting the killing effects of antibiotics. The most common strategies employed by bacteria for resisting antibiotics include growing as biofilms, persisters, and small colony variants . These physiological states represent phenotypic changes in bacteria in response to stress and, hence, are reversible. Normally, bacteria cultured in liquid growth media grow as free-floating cells (planktonic state). However, on solid surfaces, bacterial cells tend to grow together in a matrix secreted by the cells. These structures are called biofilms and are thought to resemble the physiological state in which bacteria grow in many natural environments. Importantly, bacteria are capable of forming biofilms in infected human tissues. 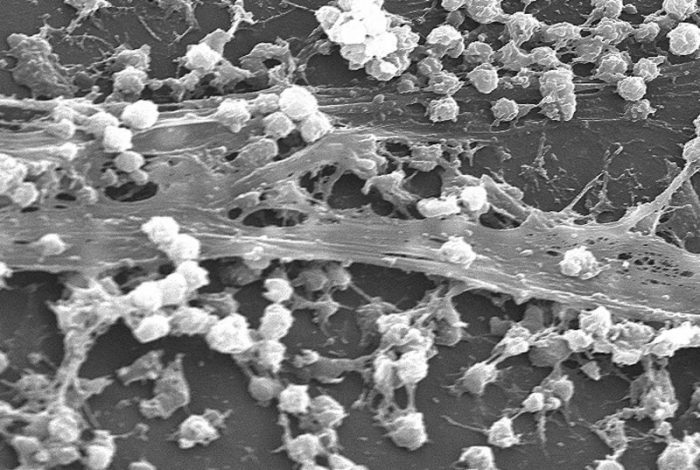 In clinical settings, biofilms are often found growing on various medical devices such as catheters implanted in patients. The biofilm-associated infections caused by even drug-sensitive bacteria are very difficult to treat, and patients tend to have recurrent infections . During bacterial infections involving biofilms, most of the existing antibiotics can kill the susceptible, planktonic bacterial population present in various body sites. However, bacteria present in biofilms can evade the antibacterial effect, forming a reservoir of infection. The surviving bacteria from biofilms can spread to various organs causing a relapse of disease. Thus, an ideal new antibacterial agent, in addition to its activity on drug-resistant strains of bacteria, should also be capable of killing bacteria in biofilms. The recalcitrance of bacteria in biofilms has been attributed to the impermeable nature of the biofilm matrix and to the presence of non-growing or very slowly-growing populations of bacteria called persisters. The resistance of biofilm-growing bacteria to antibiotics does not involve any genetic changes but is only a phenotypic adaptation. Similar to persisters, small colony variants (SCV) are slowly-growing derivatives of bacteria showing reduced susceptibility to antibiotics. The SCVs too have been implicated in recurrence of various bacterial infections. 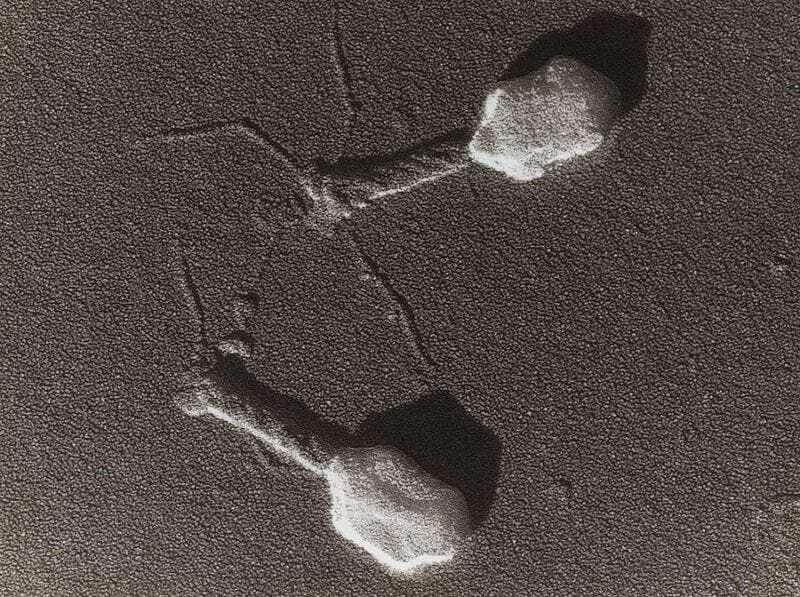 Lysins are enzymes derived from bacteriophages (viruses which can kill bacteria) which can cleave bacterial peptidoglycan, a unique covering present in the cell wall of bacteria. A lysin-damaged cell wall cannot withstand the cytoplasmic osmotic pressure, leading to bursting of the cell and death of the bacteria. This mechanism renders the lysins highly bactericidal, and their rates of bacterial killing are far superior to those of conventional antibiotics. In addition, because the site of action of lysins is on the external surface of the bacteria, these antibacterial agents do not encounter permeability or efflux issues which are known to affect the potency of conventional antibiotics. Conventional antibiotics act on mechanisms by which bacteria carry out their normal metabolic activities: making proteins, manufacturing their cell wall, and undergoing cell division. This means that, in order for conventional antibiotics to be active, the bacteria must be metabolically active. The poorly metabolizing persisters in the biofilms can thus evade the action of these antibiotics. Lysins, on the other hand, do not require bacterial metabolism for their killing action and have been observed to be equally effective on growing and non-growing populations of bacteria in both planktonic cell populations and in biofilms . Their ability to kill bacteria has also been demonstrated in animal models of disease , including models that involve biofilms growing on catheters or tissues (e.g., endocarditis). Because human cells do not possess any peptidoglycan, the lysins do not have any effect on human cells, making them safe for human use. Being proteins, lysins can elicit antibody production. However, these antibodies generally do not neutralize the antibacterial activity of the lysins. When used in combination with standard-of-care (SoC) antibiotics, lysins show a high degree of synergy. Multiple lysins are being tested for safety and efficacy in clinical trials, including trials in patients suffering from serious bacterial infections such as bacteremia and endocarditis caused by sensitive and drug-resistant strains of S. aureus. The peptidoglycan layer of Gram-negative bacteria is protected by an outer membrane, rendering the target site for lysins relatively inaccessible. However, newly-developed protein engineering approaches involving fusion of membrane traversing domains to the lysins are now allowing development of lysins that can reach their site of action on the peptidoglycan layer. The engineered lysins which have proven efficacious under laboratory conditions will hopefully undergo clinical development for treating drug-resistant, Gram-negative bacterial infections in the near future. In summary, the potent bactericidal effect of phage lysins on biofilms, persisters, and SCVs suggests that these proteins can be developed to treat biofilm-associated chronic and recurrent bacterial infections. These findings are described in the article entitled, Phage-derived lysins as potential agents for eradicating biofilms and persisters, recently published in the journal Drug Discovery Today. This work was conducted by Umender Sharma, Aradhana Vipra, and Shankaramurthy Channabasappa from GangaGen Biotechnologies. Sharma U, Vipra A, Channabasappa S. (2018) Phage-derived lysins as potential agents for eradicating biofilms and persisters. Drug Discovery Today. 23(4):848-856. Poonacha N, Nair S, Desai S, Tuppad D, Hiremath D, Mohan T, Vipra A, Sharma U. (2017) Efficient Killing of Planktonic and Biofilm Embedded Coagulase Negative Staphylococci by Bactericidal Protein P128. Antimicrobial Agents and Chemotherapy. 61(8).pii:e00457-17. Dr. Upendra Sharma is a scientist at the Institue for Himalayan Bioresource Technology. His research focus includes the Characterization of New Molecules from Western Himalayan Plants, Chemical Profiling of Medicinal Plants, Scientific Validation of Traditional Knowledge on Himalayan Plants.